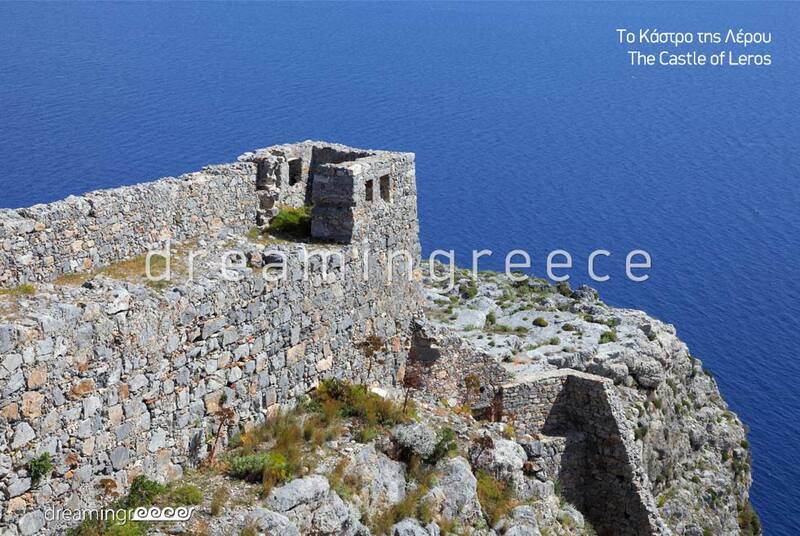 The surprisingly charming Leros belongs to the Dodecanese complex and dominates between Patmos and Kalymnos islands. The castles, the beautiful villages with their unusual architecture, the numerous monuments, the virgin coves with crystal clear waters and the lush vegetation with pines, eucalyptuses, oaks and olive trees make up the profile of the island. 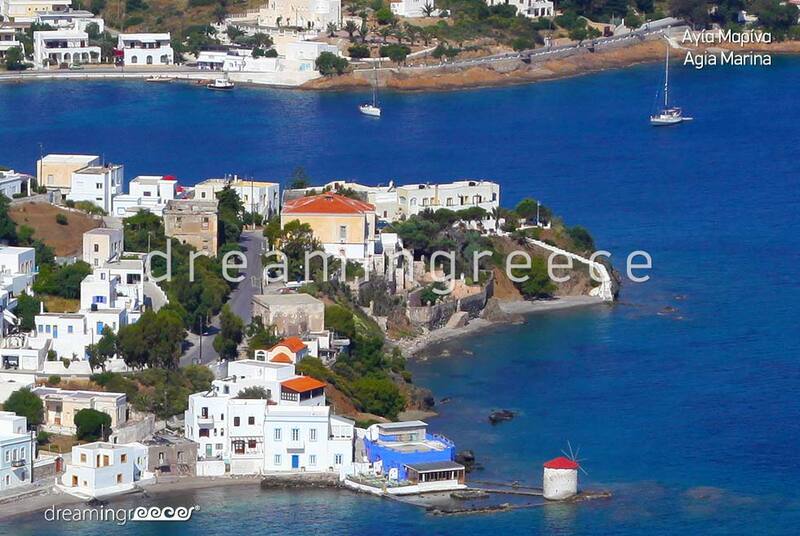 Although small, Leros, has many settlements. In the eastern part Agia Marina village, the most tourist area, unfolds with numerous restaurants and bars for all tastes. Bourtzi fort, in the entrance of the harbor, the wide pier and dock with the picturesque historic windmill constitute key features of the village. If you find yourself on the island at August full moon, you will have the opportunity to enjoy the incredible experience of watching the full moon touching the hills, illuminating the Castle of Panagia! Agia Marina is connected with Panteli and Platanos villages, creating a unique residential complex. Panteli is a picturesque fishing village. The old, traditional houses, the picturesque taverns and the fishing boats, surrounded by the deep blue sea, compose an idyllic picture! Platanos is one of the earliest settlements in Leros. 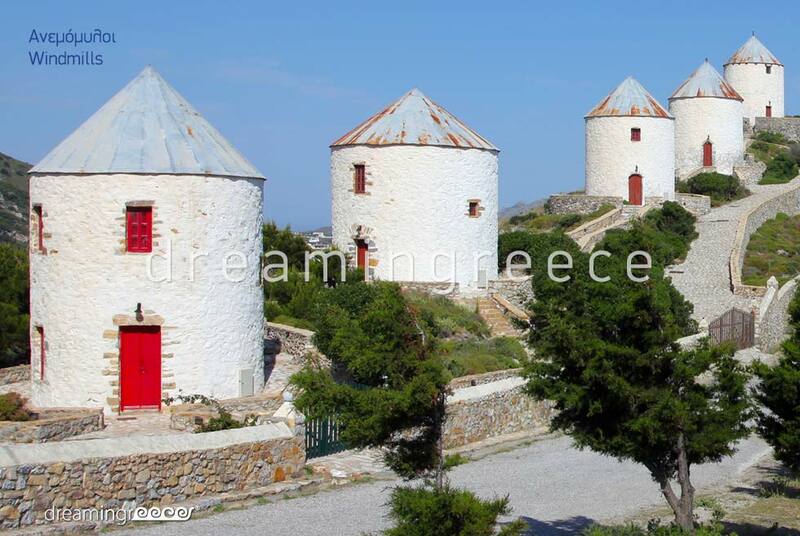 It is worth strolling around in the narrow streets which unfold between mansions with colored shutters and lead to one of the most beautiful castles of the Greek territory; the Castle of Panagia. The castle stands on Apityki hilltop, built on the ruins of an ancient fortress. 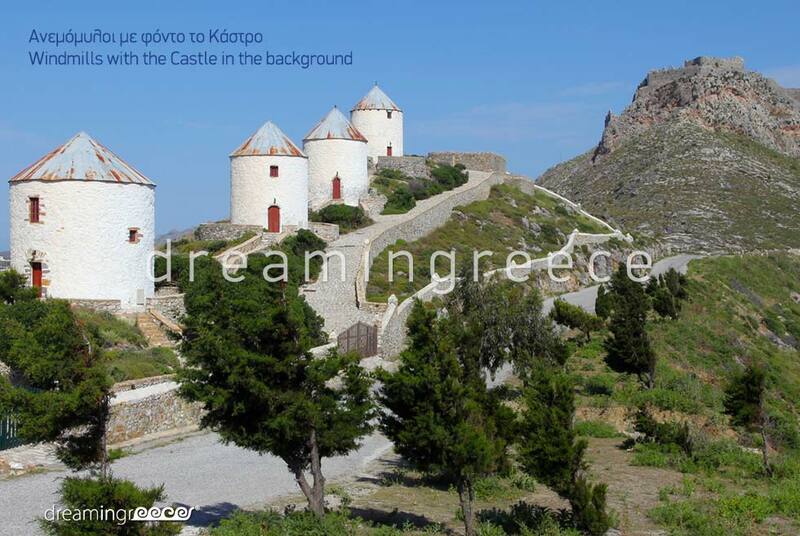 Within the castle, there is the monastery of Kera Panagia, with the famous image of the Virgin Mary, which, according to legend, is miraculous. In the same area the Ecclesiastical Museum is housed. From the castle, you will have the opportunity to enjoy the breathtaking views of the neighboring islands, the Turkish coast and the Aegean Sea. One of the most beautiful parts of the island is the large port of Lakki; an architectural "treasure", the like of which will not be found anywhere else in the country! The wide avenues and the unique architecture, with strong art deco influences, form a stunning backdrop which seems to have sprung from a war movie! In Lakki, you will see the famous palacinos; houses with rounded balconies and wooden shutters. The church, the local school, hospital, theater, hotel and cyclical market with the Clock Tower promise a magical journey in the 30s! Just outside the harbor, you will find the very impressive War Museum, housed in Merikia tunnel. 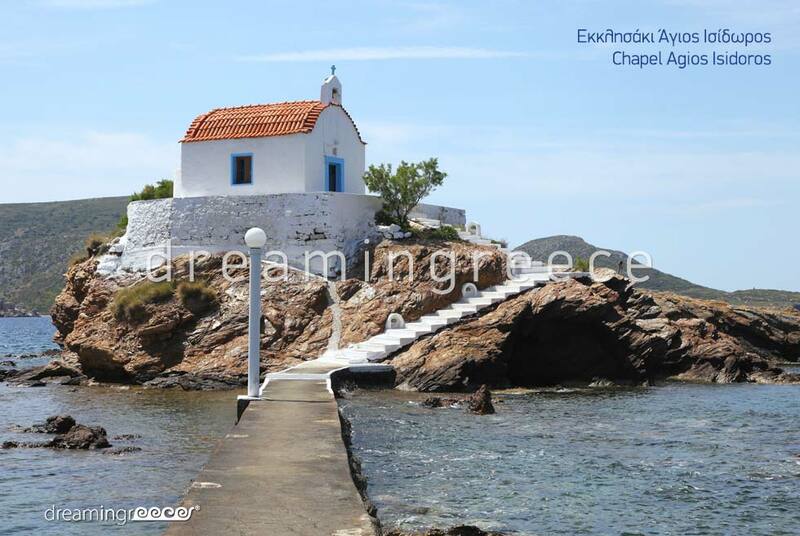 On the southern coast of Leros, there is the coastal village of Ksilokampos where you will see the Castle of Lepidon and the impressive chapel of Panagia (Virgin Mary), built in a rocky gap. It is also worth visiting Alinda village which unfolds in a green environment with pines and olives. There, the fascinating History and Folklore Museum, housed in the elegant Belenis Tower, lies. During your stay on the island, it is worth having a day trip by boat to the neighboring Lipsi, Aspronisia, Tiganakia, Arki and Marathi islands. The island of Artemis is famous for its festivals, among which Alonaris Festival, in late July, the Wine Festival and the Sailing Games in August stand out. "Malta of the Aegean", as Leros is alternatively called, is a place so unique and so special, which awakens the senses and brings up memories of a bygone Greece! 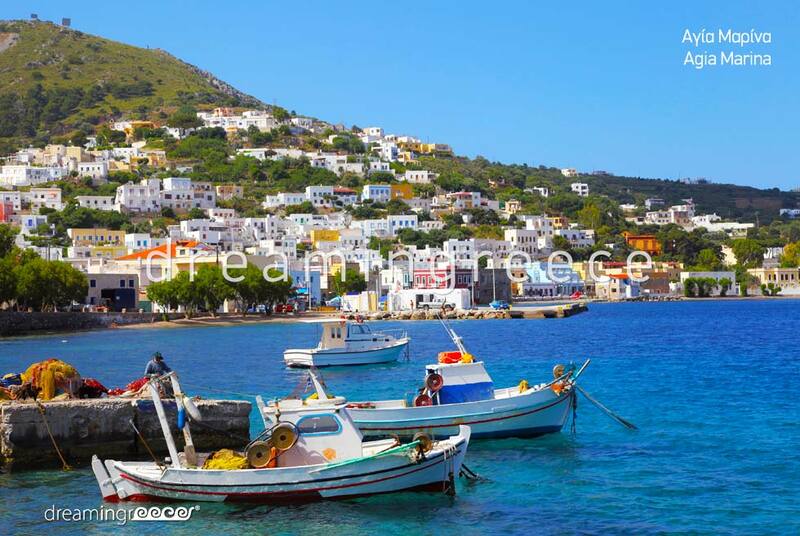 Leros has numerous beaches and small, quiet coves, which can satisfy every taste! The most popular beach of the island is the organized Alinda beach; a youth favorite. Nearby, there are the less cosmopolitan Panagies beaches; one with sand and one with pebble. There, you can find the beach of Two Liskaria, where eucalyptuses offer shade and there is the famous beach bar with reggae music selections. Panteli beach is the ideal choice for families. Vromolithos beach unfolds across the island of Agia Kyriaki, while Tourkopigado beach is ideal for diving from the rocks. On the north coast of the island there is the Agia Kioura, with the homonymous church, where you will see frescoes painted in 1968 by political prisoners. Within walking distance from Agia Kioura there is the sandy Mplefoyti beach. Lovers of isolation will fell in love with the bay of Gourna and Kavourades beach. Near Gourna, which is hooked on a rock, there is the beautiful chapel of St. Isidore, where you can enjoy a glorious sunset! Equally quiet is the pebbled beach of Merikia near Lakki. On the southern coast of Leros, there is the sandy beach of Ksirokampos which unfolds across Glaronisi and Velona islets. You can fly directly from Eleftherios Venizelos - Athens International Airport, with either Aegean Airlines or Olympic Airlines, as well as from Macedonia Airport of Thessaloniki, with a stopover in Athens. You can travel to Leros by boat, from the port of Piraeus, on the Blue Star Ferries line. 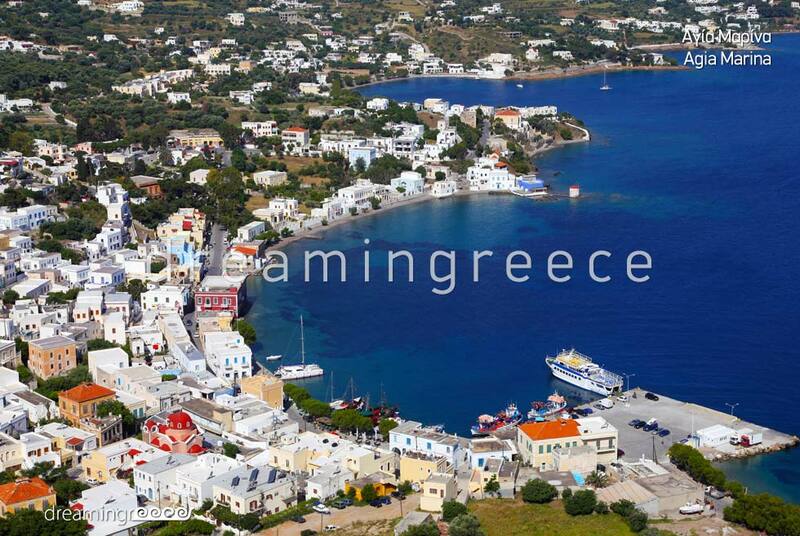 The island of Leros is connected by boat with the islands of Kalimnos, Kos, Rhodes, Astypalea, Patmos, Lipsi, Nisyros, Tilos, Symi and Kastelorizo.